Hand talking aside, I have to say I'm pretty excited about the issue. It's chock full of fun stuff and lovely images and just, well...general goodness. 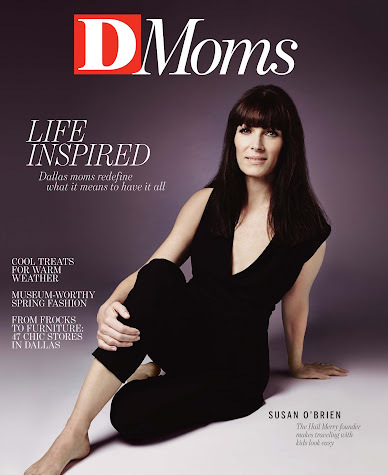 If you aren't in Dallas and would like a copy D Moms you can request one here. Congratulations!! I watched the video, I too covet my clarisonic, do you actually put the coconut oil on it? I've been wanting to give it a try on my skin, but have been a little nervous. It sounds like you love the results and your skin sure looks dewy! Fabulous! I just requested an issue to check it out! I can't wait! I watched the video. You are wonderful Joslyn. So right after coffee I am running to Neimans for a Clarisonic and to Whole foods for coconut oil? You bet. I just subscribed! And let it be known that through your blog you are often "that mom" for me ;) Congrats on issue #2 going to press! YOU are adorable, lovely lady! And I want to read this one! :) Awesome!